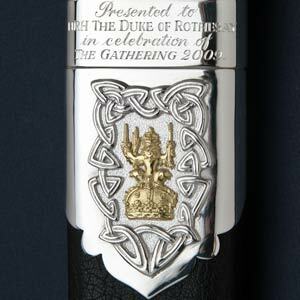 To commemorate The Gathering 2009, the key event of Homecoming Scotland, Roddy Young presented a rather special Dirk to The Gathering's patron, The Duke of Rothesay (HRH The Prince of Wales). 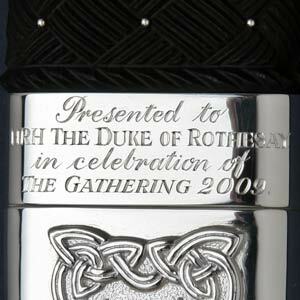 Highland silversmith Roddy Young had been commissioned by The Gathering's co-director Lord Sempill to design and create a Dirk worthy of the historic event, and working with a number of leading Scottish artisans, was able to showcase the quality and diversity of skills available in today’s Scotland. 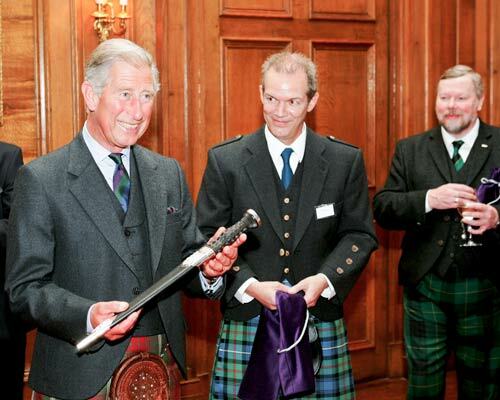 Roddy first met with Romilly Squire, Heraldic Artist and Secretary to the Clan Chiefs, to discuss the design and learned about the historical connection with George IV’s visit to Edinburgh nearly 200 years ago when he too was presented with a special Dirk. He then started assembling the team that would go on to create the Dirk, as Roddy said, “Working with some very talented individuals over 30 years I was able to draw upon my contacts to find the expertise required. 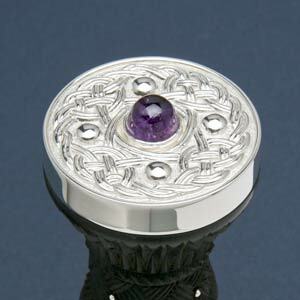 Each member of the team had a very specific and vital skill to bring to the piece.” The artisans used a range of skills spanning from the ancient art of engraving used by Neil Oliver to the use of technology developed by Rab Gordon for the handle. The silverware for the Dirk was completed by Roddy Young F.I.P.G. in his workshop in the Highlands. The Celtic knotwork and Royal crest were first sculpted then cast. 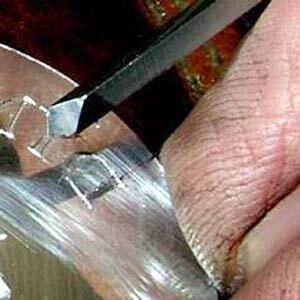 Once cleaned, they were then soldered to the front of the sheet silver. 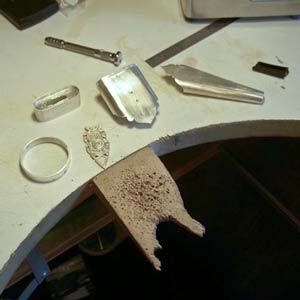 Moulds were taken from the sheath and handle to make sure the metalwork fitted perfectly, then formed into the finished pieces. 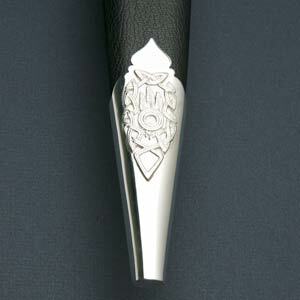 The crest was cast in 18ct yellow gold to show a contrast and balance to the design. Once all the craftsmen had supplied their contributions, the whole piece was assembled by Roddy giving us the finished Dirk ready for presentation. 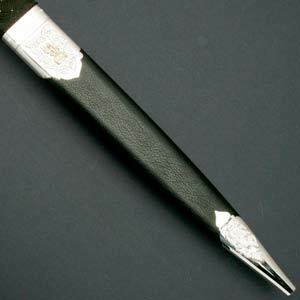 The handle was carved from Ebony by Rab Gordon in his workshop overlooking Loch Ness. 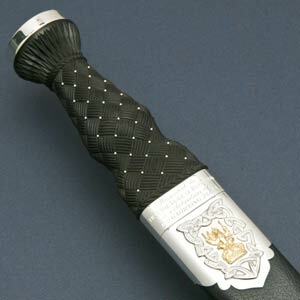 The design combines a basket weave pattern with a stylized thistle at the top and was carefully styled to match the blade. 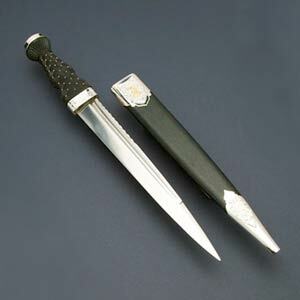 He is probably best known for his custom made Sgian Dubhs. Rab is the youngest of the team members and makes creative use of modern technology where appropriate. For over 10 years he has developed equipment, software and techniques to compliment and extend traditional craft skills. Last year he was invited to run a workshop on his methods at the Massachusetts Institute of Technology. The blade was hand forged on Skye by Bladesmith Rob Miller. 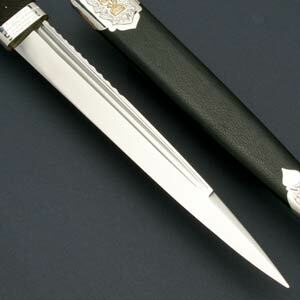 The design of the blade is particular to 17th-18th Century styles of Scottish Dirk, rather than the later formalized military style of blade. 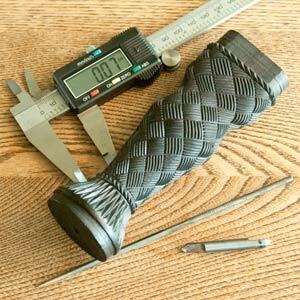 It has a single edge and broad back with fuller groove, and a full tang extending through the grip. The Steel is EN45 which has been forged, hardened and tempered to take and hold an edge. 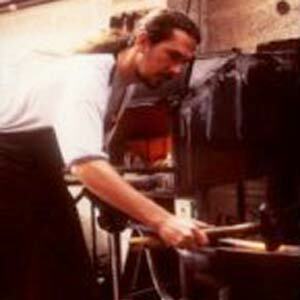 Rob, who has been working as a Swordsmith for over 18 years is entirely self taught and is known internationally for his fine swords. 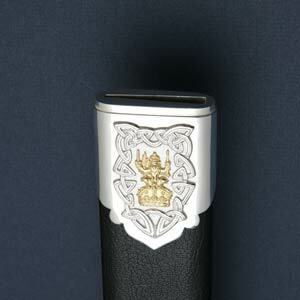 The sheath was made by Jonathan Carr Hopkins in Glasgow. He is a cabinet-maker specializing in presentation cases, display cabinets and other items of fine and detailed woodwork. 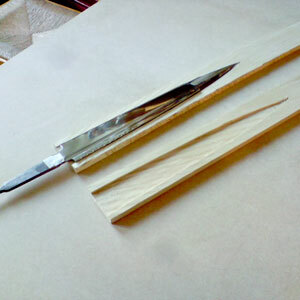 Jonathan used American White Ash which he made into two book-matching halves, which were hollowed to exactly match the blade then lined with chamois leather. The halves were then carefully aligned and glued together. 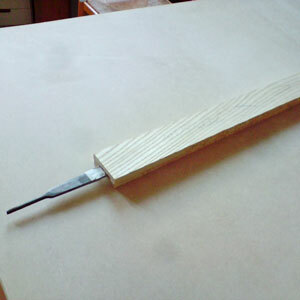 They were shaped and sanded into their final form to exactly match the shape of the base of the handle and flow smoothly to the tip. 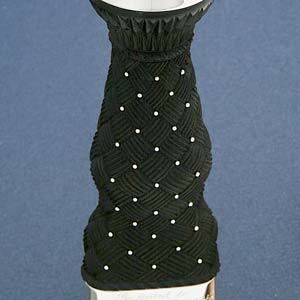 The leather covering of the sheath was applied by Laura West on Skye. 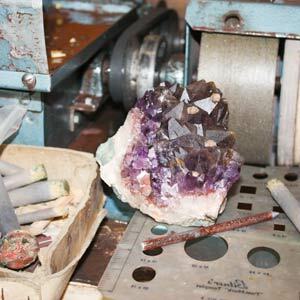 Laura is a classically trained award winning bookbinder specialising in traditional and contemporary hand-sewn books. She has a first class honours degree (BA) in bookbinding from Roehampton Institute and is also a Queen Elizabeth Scholar (2000) and Balvenie Artisan of the Year (2005). 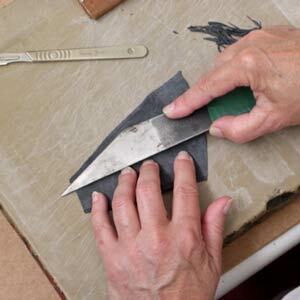 Noted for the skilled leatherwork in her traditional stationery bindings, Laura’s skill was utilised in the critical leather covering of the sheath. Quality goatskin was cut to fit and the edges were pared very finely to produce a ‘scarf’ join, in which there is no visible seam. This piece was moulded to the wooden sheath with wheatflour paste, the traditional method used in book covering. Even to the practiced eye, the invisible join is near impossible to see.